As we approach crunch time in the Brexit negotiations, many British people are making final preparations to establish themselves in the EU before March. Buying a property isn’t essential – you can become resident in Italy by renting. But moving to Italy before Brexit is the only way to ensure your EU rights to pension, healthcare and residence continue long-term. Here is how you do it. This has been described as “Hell Week” by the British press (now that’s something you won’t miss when you live in Italy!). The UK Brexit negotiating team is attempting to convince EU negotiators to abandon enough of its cherished “four freedoms” to get it past hardline Brexiters in the British government. Not easy. And even though much is now known about likely future arrangements for those who move pre-Brexit, the situation for post-Brexit retirees and workers is still totally unknown. Can you be resident in the EU before Brexit in less that six months? You certainly can in Italy, so long as you move decisively now. Hardly surprising then, that many of us wish to move before the official Brexit day of 29 March 2019, well under six months away. Can you do it in that time? You certainly can in Italy, so long as you move decisively now. One benefit of moving to Italy before Brexit is that most of us have a clear idea of where we want to go. The Lakes for skiing, proximity to Western European cities and Milan, Tuscany for the art and culture, Abruzzo for affordability, Sicily for the weather, etc. So narrowing down your location should be simple, but do read our area guides if you need some help! Then you can simply look at our Italian property listings or contact our Italy property hunting service. You can also speak to our resource centre via email or by calling 020 7898 0549 to be introduced to a really good estate agent and lawyer. Get your free Italian Viewing Trip Guide today. Italy uses the notary system, like most of Europe. That can often feel like a bit of a pain when you’re not used to it. But with time of the essence, a notary can help to speed things along. They are public officers, appointed by the state, who authenticate and attest all legal processes. You need to get one that specialises in property, in the interests of speed. Of course, your agent will be keen to get the deal finalised rapidly too, but beware! Do not allow anyone to cut corners, least of all with the legal processes. Speak to us on 020 7898 0549 and we will find you a trusted and efficient Italian property lawyer. Firstly the notary checks the property ownership, boundaries and rights of way. He or she will also check there are no existing mortgages. Secondly, they will set a date for you to sign the deed of sale (rogito). You will all – buyer, seller, agent and interpreter – do this in the notary’s office. If it helps you buy in time, however, consider giving power of attorney to your lawyer. You must limit that to the property transaction though. For the rogito you will need all your documents, including your tax code (codice fiscal). For further details of the buying process, either download our 2018 Italy Buying Guide, or read a simplified version here. Make it clear with any property you make an offer on, that it must be in your hands well before March or you will pull out. For a vacant property with paperwork up to date, this can all be completed in less than a month. However, in general, you should allow up to two months. Make it clear with any property you make an offer on, that the property must be in your hands well before March or you will pull out. So, you now have a home and live in Italy. And we’re still only just into 2019! Don’t imagine you’re safe yet though. From a financial point of view, you are an Italian tax resident if you have spent 183 days in Italy in the past calendar year. But you do not have time to do that before March. So what other ways are there? Firstly, if your main work occupation is based in Italy. Or if you keep most of your assets in Italy. Or, more simply, if you live in Italy full time. Go to your local town hall (commune – ufficio anagrafe) with the required documents. These include your passport, of course, plus, vitally, evidence of where you live. As we said earlier, you don’t necessarily have to have bought a home, you can rent. However, ownership means that you have paid tax, have a codice fiscal and a record of commitment to the Italian state. You will also need to prove you will not be a burden on the Italian state. To do this you need to show you have sufficient funds to support yourself. You must show you have a health insurance policy for a minimum of one year. According to the law, this is enough to prove you are resident in Italy. According to the law, this is enough to prove you are resident in Italy. But the final step will be a visit from the local police to prove that you live in Italy. 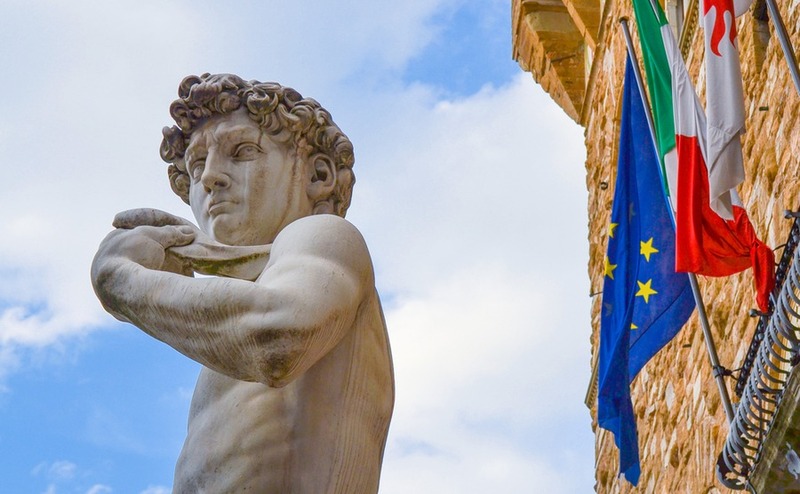 If you don’t think you can move before Brexit, read our guide to moving to Italy After Brexit. We are publishing this article on 15 October 2018. We don’t know if there will be a deal at the EU summit, or whether the transition deal will come into force, delaying crunch time until December 2020. If that happens, however, we would still urge readers who wish to guarantee their right to live in Europe without a visa, to think seriously about beginning the process.